The Australian Better Families Party, with your help, will fix social policy and ensure Australian families are the first to benefit from policy decisions made by the government. We will improve how families are supported in the areas of child care, aged care, affordable housing, health, employment, education, law, sovereign ownership and energy use. 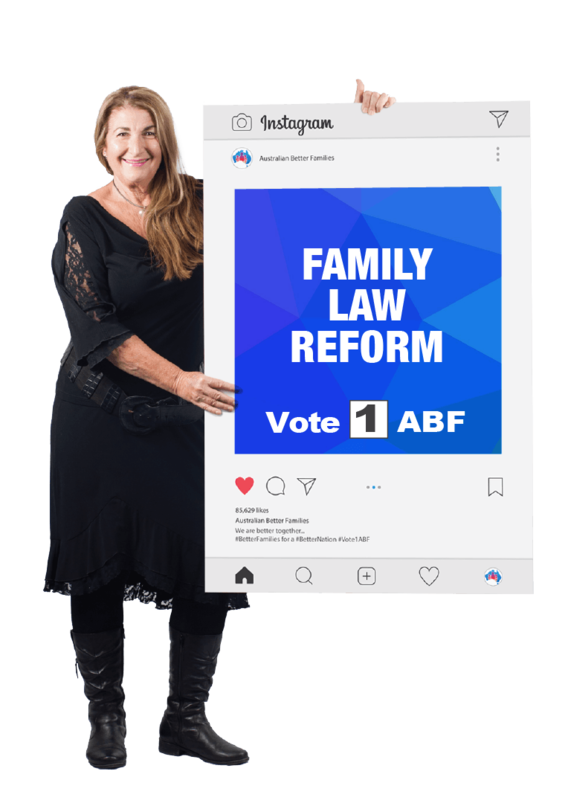 ABF Party objectives focus on reducing social and economic burdens placed on Australian families by producing better policy. We believe all Australians regardless of age, gender, ethnicity or sexuality should be treated with respect and equality in all aspects of their lives in our society. 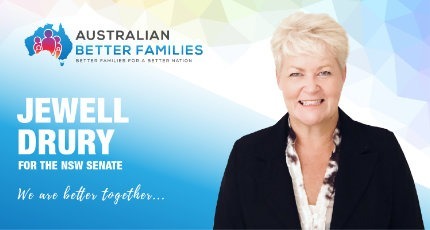 The Australian Better Families Party was formed by families who have been exposed to the failures of family law, domestic violence law and child support policy. These families were actively involved with the Australian Brotherhood of Fathers as volunteers and raised concerns regarding the social damage the failures of these policies have on Australian families. After 6 years of community volunteer work, raising awareness about male suicide, gender bias policy and legislative failures to protect victims of family violence, the decision was made to form a political movement. The focus is to ensure Australian Families are the first to benefit from all policy decisions from government. The ABF Party is founded on the Australian principles of a fair go for all. The party recognises the positive contribution both men and women make to the success of our nation. As a party, we will work to provide positions in government that represent the needs of both genders in parliament and in our society. 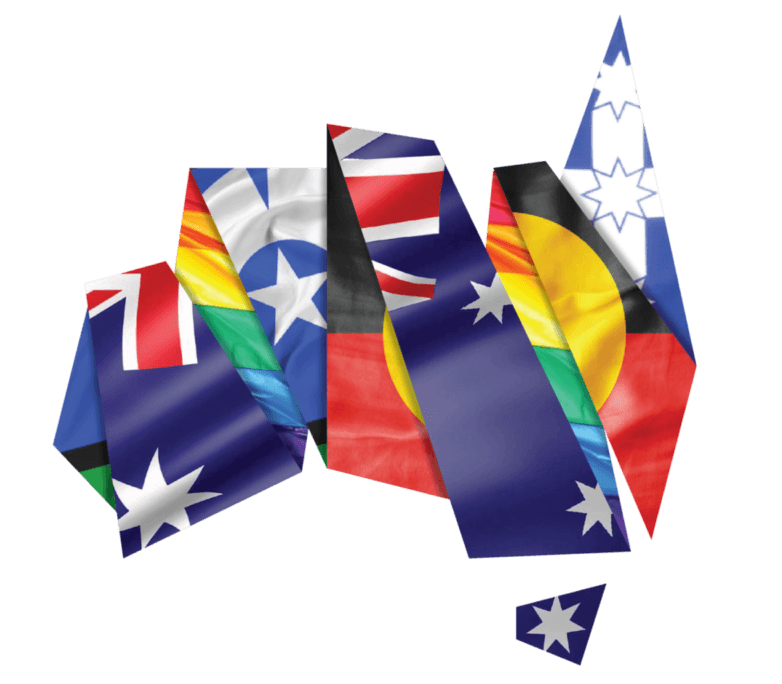 We believe all Australians regardless of age, gender, ethnic background or sexuality should be treated with respect and equality in all aspects of our society. The ABF party will work against discrimination in all its forms. We will promote policy that strengthens the connection to family, community and our Australian national values and identity. We believe that many of our social problems stem from policy that does not support families particularly when they are dealing with crisis. 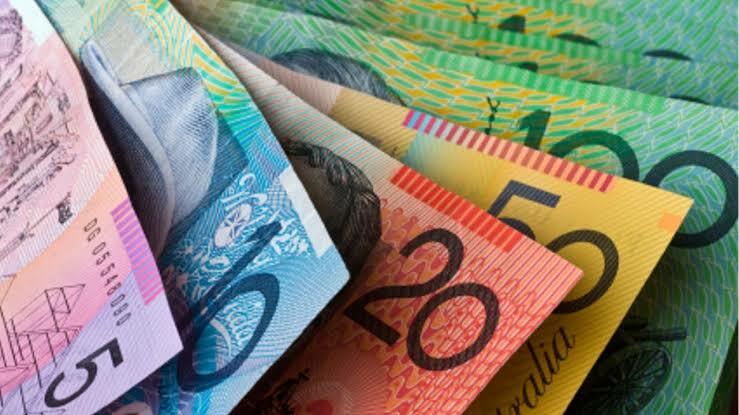 We will work to improve how our families are supported in the areas of child care, housing, health, employment, education, law and aged care with the goal of reducing the social and economic burden associated with these services. 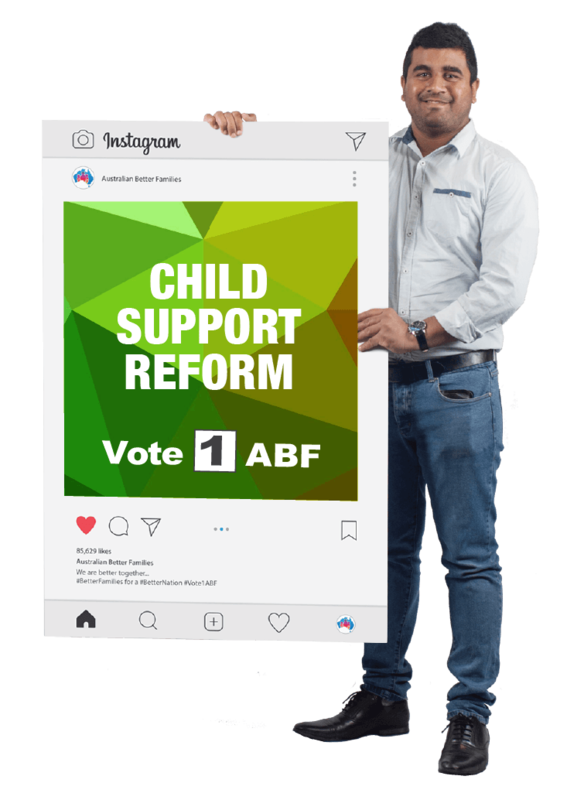 A core policy for the ABF party is to improve how our children are cared and provided for in the family unit and within their communities. We will do this through legislative reforms to education, child welfare, family law, child support and domestic violence laws. We stand together with a belief that Australian families require better policy solutions that improve the future of our country through employment, housing, education, transport, health, urban development and energy security. As a party, we know that good government relies on having your voice heard on issues that impact your life. The ABF party will provide greater transparency through evidence-based policy while engaging in open discussion on all issues. We understand that the success of our country relies heavily on how we raise our children and the opportunities we provide for them as adults. 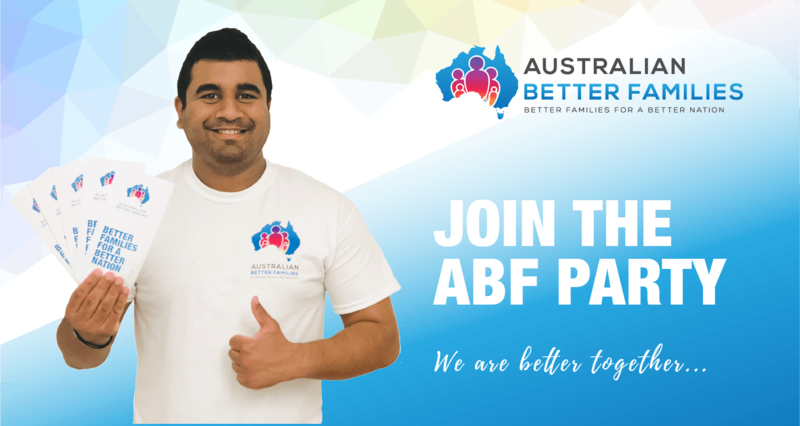 We invite you to join the ABF to help us delivery evidence-based policy from government that puts the rights and welfare of all Australians first. 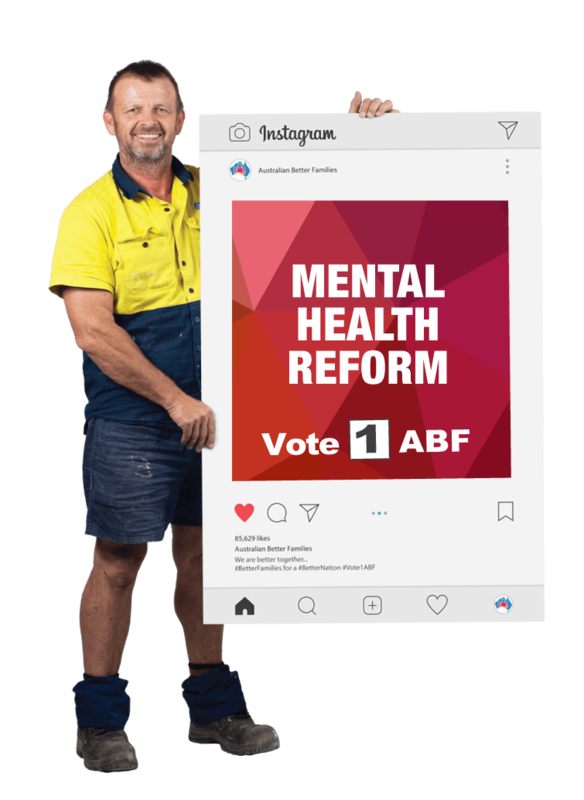 The ABF Party intends to contest Australian State and Federal Elections in both the House of Representatives and Senate. Better policy produces better families for a better nation.